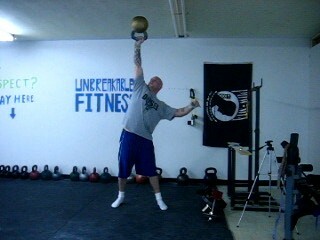 48kg Bottom up Press by 'Unbreakable' Adam Glass. Love kettlebell training? Give some of these a shot. Superb.